Possibly the most exciting choice you will make when renovating rooms in your house is what colour palette to choose. Colours set the mood of a room, and now you can change those tired old colours and bring new life to your home! If you are stuck on deciding what colour scheme to choose for your renovation, we have some tips to help you get started. What Didn’t You Like About the Previous Colour Palette? Did the colours make the space too bright or too dark? Were the colours too muted, or too overwhelming? Did the colours of the walls, furniture and other fixtures complement each other? Or maybe it’s just time for a change. Asking these questions is a great starting point for choosing a colour palette you will enjoy. It’s important to pick your colours during the renovation planning phase. This is because the colours of walls, fixtures, furnishings, and surfaces along with the amount of available light all contribute to a successful colour scheme. There are plenty of designer-approved methods for choosing a colour scheme for a room, or for your entire house. We’ve put together a list of approaches you can take. It’s always good to start with the basics. 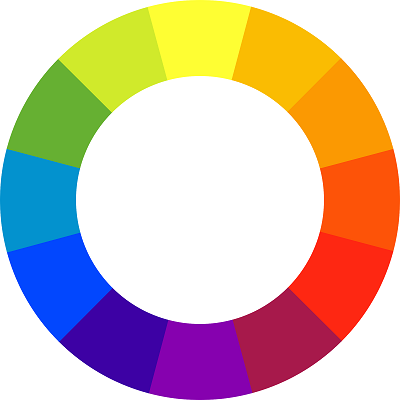 The standard colour wheel organizes colours in a way that shows how colours naturally combine, blend and contrast. Each of these colours can also be broken down further into different shades. When choosing primary, secondary and accent colours for your scheme, it’s important to think about how those colours will be distributed. This basic ratio is a guideline for how to distribute your primary and secondary colours in a room. This design principle suggests that a room should be 60% a dominant colour, 30% a secondary colour, and 10% an accent colour. Monochromatic: Choose a colour you really like to be the primary colour. Then choose different shades of the same colour for your secondary and accent colours. Analogous: Choose colours that are next to each other on the colour wheel. This approach offers only a mild contrast. Complementary: Choosing opposite colours on the colour wheel. This approach lets you go bold with a stark contrast in colours. Take your time when choosing a colour scheme before you commit. Pick up swatches and play mix and match until you find a combination that really pops for you! Gray and white are always a go-to choice for certain rooms as they can appear either bright or dark in certain conditions. Their neutral nature also makes it easy to pair them with other colours of your choice. Some designers suggest having some black furnishings in every room, as it helps bring out the vibrancy of other colours. When deciding on a colour scheme, you may decide to primarily go with either muted or with brighter colours. It’s always a good idea to add a bit of contrast to any room, so you may want to include an accessory or fixture with a colour that contrasts your primary scheme. Have you already chosen new couches? A new rug? Drapery? Or a work of art? If you’ve set your sight on specific furnishings, use the colours from those pieces as a starting point for choosing the colours of your other elements. This will ensure your entire room is harmonious with your favourite furnishings. If you’re changing the colour scheme of your entire house, one approach is to start with the entryway, dining room, kitchen and/or living room and then work outwards. These rooms are the first ones people enter, and all other rooms flow from them. You can set your primary theme in these rooms, and then decide how you want the colours to transition as people move throughout the house. Often people choose neutral colours for transition areas as it gives the eyes a chance to rest in between spaces. Bryant Renovations has been bringing new life to homes in Toronto since 1986, and colour choice is an integral part of our design process. Contact us today to discuss how we can help you realize your vision to bring new life to your home.